Story. That's what entertainment is all about. Watch the video here to see how some game developers knew that story was at the heart of the experience they were creating, too. 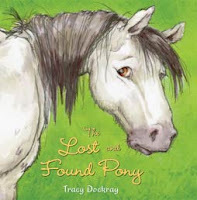 Story is what a fiction picture book is all about, too. And story comes from character and plot. Do you have an interesting character? Is the plot solid? The picture book cover is There Are Cats In This Book by Viviane Schwartz. Babar inspires love and respect. Read some of the earlier stories, especially, and notice the drama. Here's some background on the de Brunhoffs and their creations. The Babar books have characters we want to spend time with who are doing interesting things--a good place to start. Lovely letters! 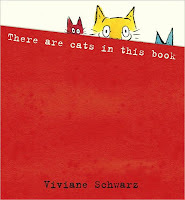 Whether we are writers or illustrators of picture books, we should be thinking about picture books as a designer does. We should try to have a feeling for the entire book as a multi-paged object so we can understand and visualize how our part fits in with the whole. Writers, especially, should imagine the pages and how the text would flow. It's amazing how laying out a manuscript into a simple dummy can prompt greater insight and editing. Try it! One important design aspect of picture books is the typography. The picture book cover is Paul Thurlby's Alphabet by Paul Thurlby from Candlewick. "Words have meaning and type has spirit." So says the following video.